Well, am I the only one that got a, ‘could do better’ report? Who’s willing to post a score? Well I’ve only grown 20 so the suggestion is to grow new this year! You have a super-exciting year ahead, Anne! I see Norman is teasing out our competitive streaks! I’ve grown 32 of the crops listed over the years. Salsify is not the same as scorzonera. 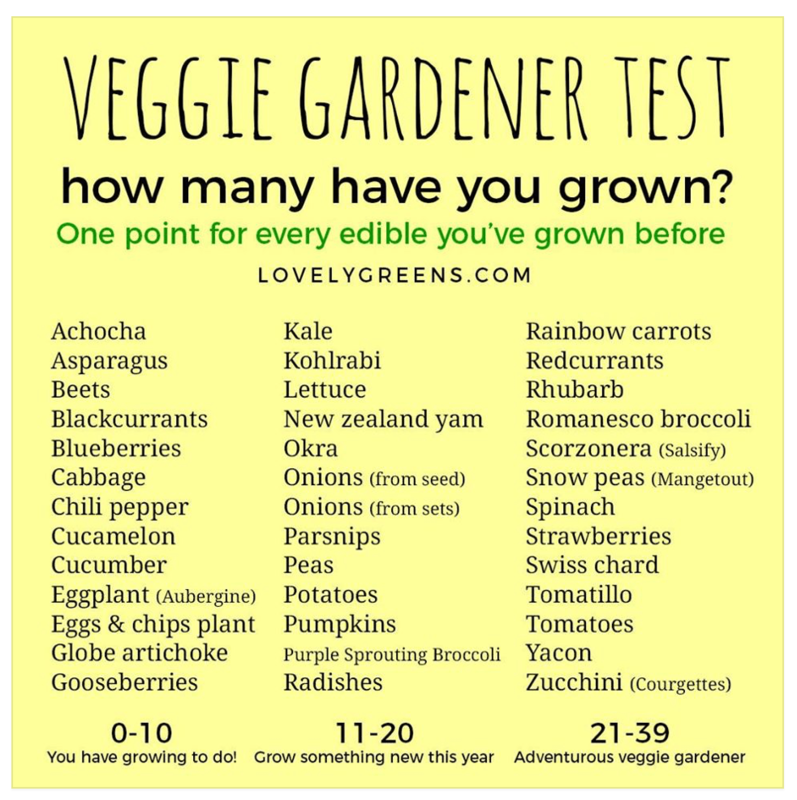 Would be interesting to compile a list from all our plotters to see how many different things have been grown. That’s a great idea, Stuart, the Garthdee Field list would be something special! 17 – Not sure if this is good,bad or indifferent? 25 – with 3 in the greenhouse at home. Still some way to go it seems. I’ve autumn-sown fennel in the greenhouse, waiting for spring – that’s a new adventure for me this year!